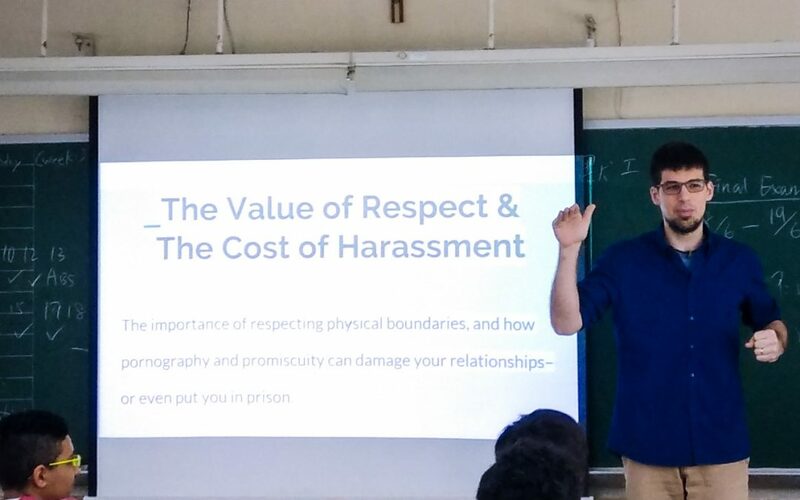 This morning I did my first talk, at a Caritas school in Tuen Mun, the Caritas Tuen Mun Marden Foundation Secondary School (明愛屯門馬登基金中學, also known as CTM). It was a class of eight Form 1 male students, all from the Middle East, from Catholic, Christian, and Muslim backgrounds. The school’s social worker said that she had never seen the class so interested and engaged in a visiting speaker’s talk before. Thanks be to God! It was so good to share at your school today about this very important topic. My hope is that what the discussion will help the students 1) increase awareness of the dignity of all human life, 2) strengthen their ability to have healthy relationships, and 3) establish a deeper understanding of their own dignity and rights. My organisation is called Asia for Life (愛惜生命), a Christian pro-life organisation in Hong Kong. 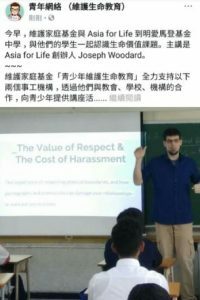 I give pro-life talks in partnership with the Family Value Foundation (維護家庭基金). You can see more about this project at www.asiaforlife.com/youth. Also, if you have a chance, please let the students know I enjoyed giving the presentation to them today. They were thoughtful and they really engaged with the questions, which made the discussion much more meaningful. Update, Monday, May 14: Today, I returned to the school for a second talk. The talk went well, but the weather was unbearable. 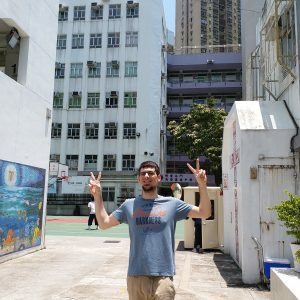 It is already summer in Hong Kong, and it was so sunny I couldn’t even open my eyes for a photo. The temperature hit 33 C (91 F), not counting the humidity!